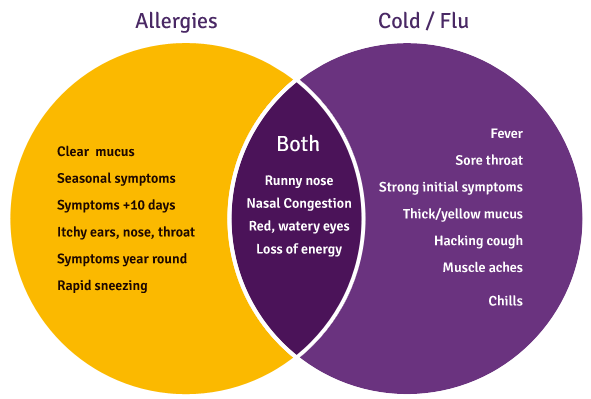 Allergies are one of the main causes of non-communicable diseases in the world and are estimated to affect 30-40% of the world's population. Susceptibility to allergies after birth is partly determined by the environment an individual is exposed to in early life. Now, research from the University of Adelaide in Australia, suggests that taking folic acid in late pregnancy may also increase the risk for allergies in children affected by growth restriction during their development in utero. Intrauterine growth restriction (IUGR) is determined by fetal weight. If weight falls below the 10th percentile of normal, measured as gestational age determined by ultrasound, it can also be called small-for gestational age (SGA) or fetal growth restriction. IUGR occurs in an estimated 2.5 to 3 percent of pregnancies. Folic acid is a type of B vitamin widely used to prevent neural tube defects in a fetus, and to aid in development of the fetal central nervous system. The neural tube develops in the first month of pregnancy, and Australian guidelines recommend that women take a daily folic acid supplement at least one month before, and three months after conception. "Taking a folic acid supplement during the first trimester of pregnancy is important to reduce the risk of neural tube defects. However, continued supplementation with folic acid into the later stage of pregnancy doesn't reduce that risk, with growing evidence this may increase the risk of allergies in offspring," explains Kathy Gatford PhD, of the University of Adelaide Robinson Research Institute in Australia. The research is published in the American Journal of Physiology. In studies of sheep born from normal and growth-restricted pregnancies, Dr Gatford and colleagues measured skin reactions to two common allergens: dust mites and egg whites. "Sheep from growth-restricted pregnancies were less likely to have allergic reactions to egg white protein than those born to normal pregnancies. Importantly, if the sheep with growth restricted pregnancies were fed supplements containing folic acid in late pregnancy, their offspring had similar rates of allergic reactions as control progeny," says Gatford. Gatford continues: "Our findings suggest that folic acid supplementation partially reduced protection that has previously been seen in pregnancies with restricted growth. While results help us understand the potential allergy risk in humans, more research is needed before any recommendations about the right timing of supplementation should or could be made in humans. Perinatal exposures are associated with altered risks of childhood allergy. Human studies and our previous work suggest that restricted growth in utero (IUGR) is protective against allergic disease. The mechanisms are not clearly defined, but reduced fetal abundance and altered metabolism of methyl donors are hypothesized as possible underlying mechanisms. Therefore, we examined whether late-gestation maternal dietary methyl donor and cofactor supplementation of the placentally restricted (PR) sheep pregnancy would reverse allergic protection in progeny. Allergic outcomes were compared between progeny from control pregnancies (CON; n = 49), from PR pregnancies without intervention (PR; n = 28), and from PR pregnancies where the dam was fed a methyl donor plus cofactor supplement from day 120 of pregnancy until delivery (PR + Methyl; n = 25). Both PR and PR + Methyl progeny were smaller than CON; supplementation did not alter birth size. PR was protective against cutaneous hypersensitivity responses to ovalbumin (OVA; P < 0.01 in singletons). Cutaneous hypersensitivity responses to OVA in PR + Methyl progeny were intermediate to and not different from the responses of CON and PR sheep. Cutaneous hypersensitivity responses to house dust mites did not differ between treatments. In singleton progeny, upper dermal mast cell density was greater in PR + Methyl than in PR or CON (each P < 0.05). The differences in the cutaneous allergic response were not explained by treatment effects on circulating immune cells or antibodies. Our results suggest that mechanisms underlying in utero programming of allergic susceptibility by IUGR and methyl donor availability may differ and imply that late-gestation methyl donor supplementation may increase allergy risk. This work was supported by project grants (ID nos. 627123 and 1011767) from the National Health and Medical Research Council of Australia. H. Liu was supported by a University of Adelaide Faculty of Health Sciences Postgraduate Scholarship. D. S. Hunter and A. L. Wooldridge were supported by Australian Postgraduate Awards, and A. L. Wooldridge was the recipient of a Healthy Development Adelaide scholarship. The Penn Diabetes Metabolomics Core at Princeton University was funded by National Institute of Diabetes and Digestive and Kidney Diseases Grant P30-DK-19525. from continuing folic acid through an entire pregnancy.